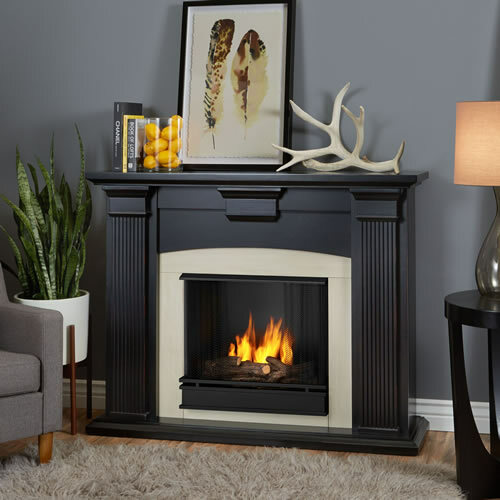 A classic fireplace with American Colonial style, the Adelaide is a definitive centerpiece in any home. Trimmed attractively with fluted columns, the Adelaide is available in Dry Brush White finish with Black Surround or Blackwash finish with Antique White Surround. Uses 13 oz. cans of Real Flame Gel Fuel.